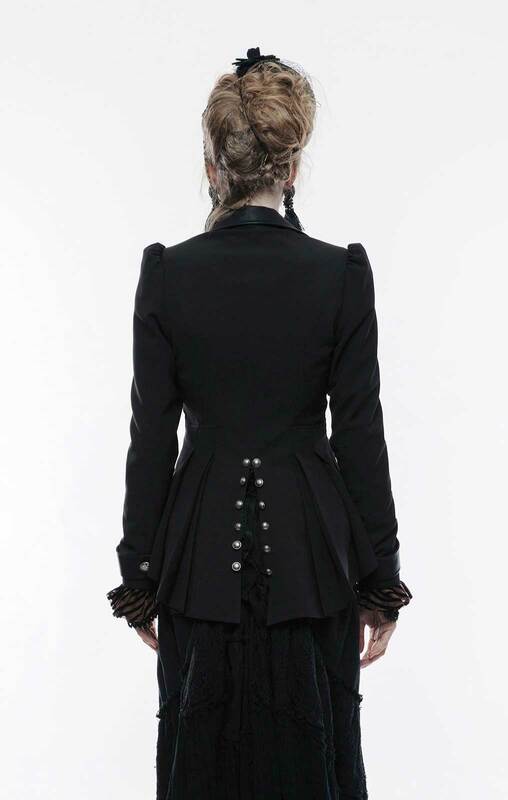 Fine victorian style riding jacket by Punk Rave. 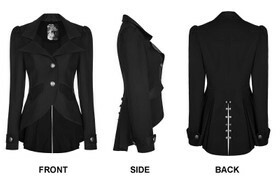 Black gabardine surface with faux leather contrasts. 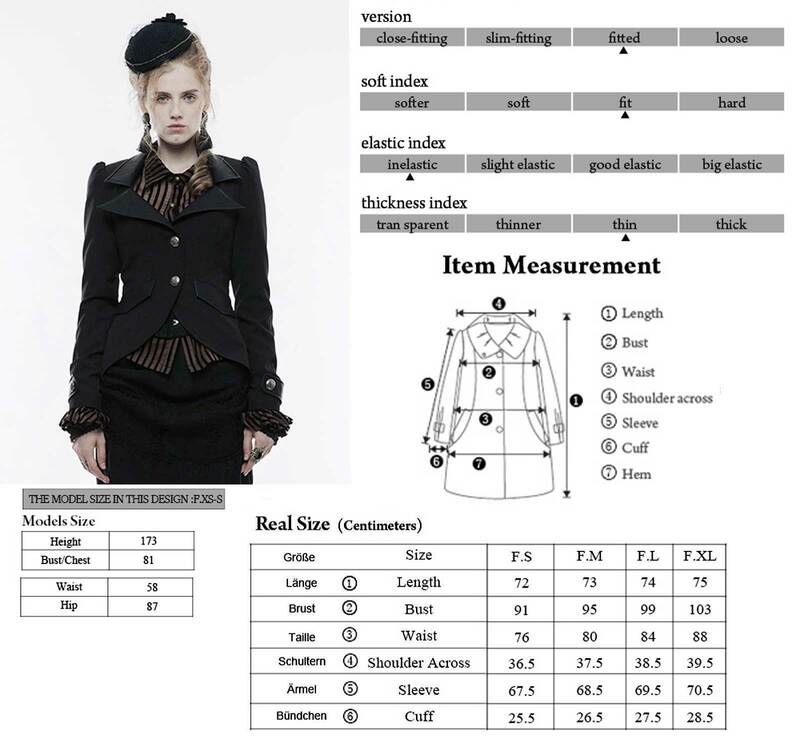 Waisted fit, long back with slash. 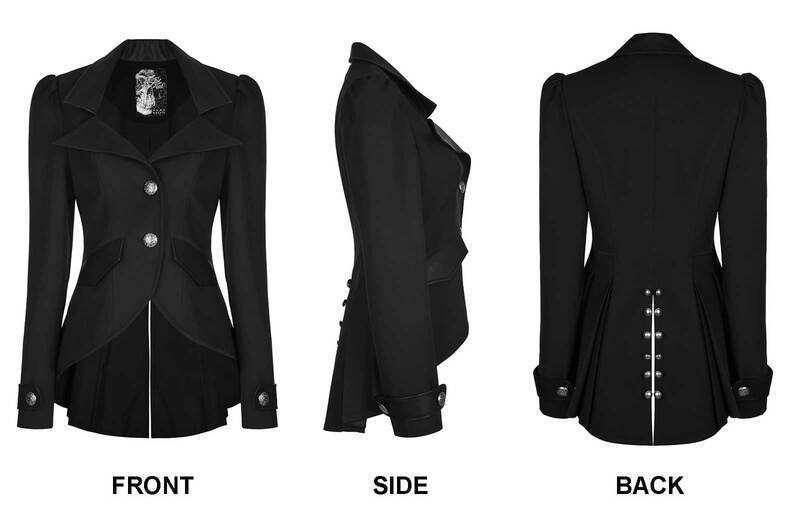 Fine victorian style riding jacket by Punk Rave. 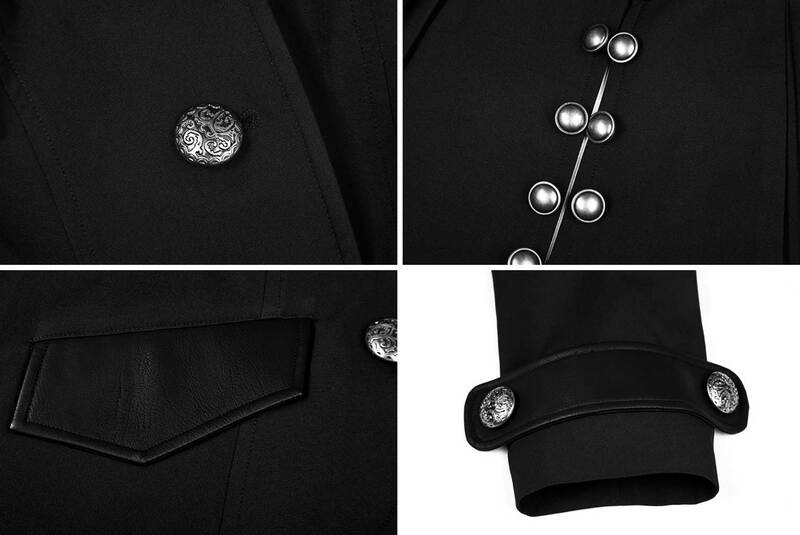 Black gabardine surface with faux leather contrasts. 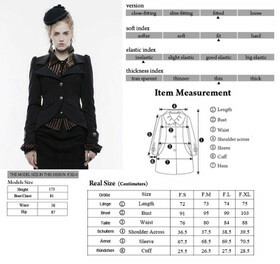 Waisted fit, long back with slash - fits perfect with cul-de-paris skirts. Inside smooth black satin lining. 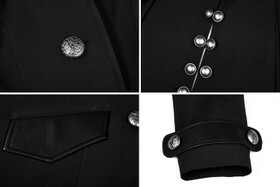 Classic lapel, two pockets and silver ornamental button.